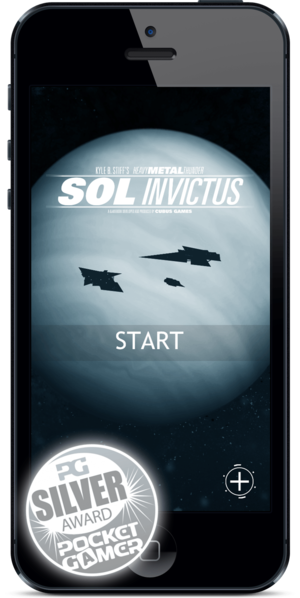 Sol Invictus, the sequel to Heavy Metal Thunder, now available as an app! I’m laid out on a metal table and a man is standing over me with a device like a hose. It’s very, very sharp on one end, and as he holds it overhead he explains that it has finally become necessary to jam this thing into my forehead, turn the suction up all the way, and drain something like hamburger meat mixed with fish slurry from my body. There’s a man on the other end of the hose prepping a container that looks like it could hold at least ten gallons, so I think this might be curtains for Kyle B. I explain to the man standing over me that I need to make a blog post to get the word out about Sol Invictus, my latest gamebook app. He sighs and looks at his watch. 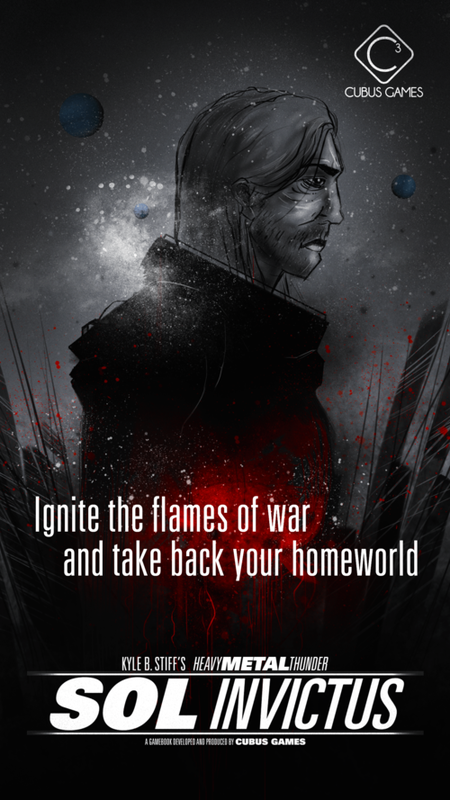 For those of you who don’t know, Heavy Metal Thunder was a gamebook app developed by Cubus Games, and it allowed players to direct a sci-fi story involving a mentally unstable jetpack infantryman in a journey across a solar system occupied by alien invaders. Now the sequel, Sol Invictus, is available, and it continues the tale of that same jetpack infantryman as he takes part in a series of military operations in outer space that result in a climax so senses-shattering that it’s been known to cast gamers to the floor in a broken heap. It’s available for iOS and Android! Here’s an in-depth review that really blew my mind, and here’s an interview of me that was so controversial it resulted in me being laid on a metal table and having my body shaved and ritualistically cleansed in preparation for a ceremonial mercy killing! To those of you wondering why I still haven’t delivered Demonworld Book Six into your hands, well… this is pretty good as far as consolation prizes go, don’t you think?